Using the delicate and knit setting on washers or dryers helps to avoid damaging or stretching certain fabrics. Some fabrics need less agitation in the washer and less heat in the dryer to keep the material looking its best. Knowing when to use this setting can keep your fragile garments from looking wrinkled and worn out. Use the delicate and knit setting on certain fabrics. Holding the fabric in your hand, notice the texture. If the fabric is fragile, thin and wrinkles easily, wash it on the delicate and knits setting, which provides less agitation, keeping the fabric from stretching. 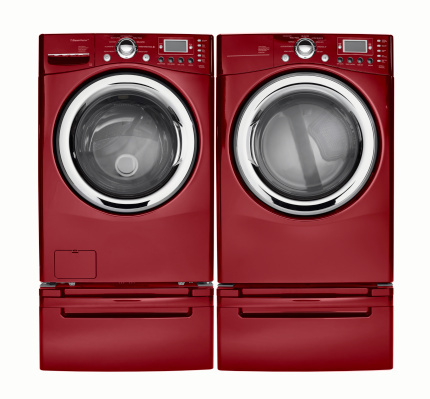 The delicate setting on the dryer uses less heat and a softer tumbling action, which is easier on thinner fabrics. The care labels in clothes generally tell you the best way to wash individual garments. Care labels specify normal, delicate, hand wash or dry-clean only. Inspect the label, and, if it says to launder on the delicate cycle, do so to keep from damaging the material. Knitted fabric must launder on the delicate and knit setting to keep the garment from stretching. When wet, knitted clothing can expand and lose its shape. With slow agitation in the washer and low heat in the dryer, the knitted fabric can keep its shape. Clothes that tend to wrinkle easily, such as linens, may produce less creases if washed and dried on the delicate setting. Washed in cold water and with less agitation, wrinkles may have less of a chance of forming. 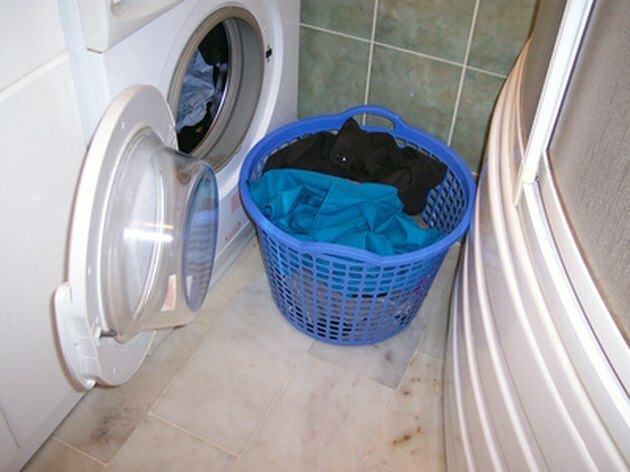 The motor inside the washer and the low heat in the dryer use less electricity when powering the delicate cycle. Use this setting for lower electric bills and to become energy efficient.